I absolutely hate waiting for my freshly painted nails to dry. No matter how long I leave my nails to dry I always seem to smudge them. I recently stumbled upon Bourjois Instant Dry Nail Drops and I thought they may just make painting my nails that little bit easier. Bourjois Instant Dry Nail Drops are a liquid which you apply to freshly painted nails using the pipette dropper.You don't need to apply much of the product, one drop on each nail is enough. The drops contain cuticle nourishing ingredients too, so you could class this as a multi purpose product. 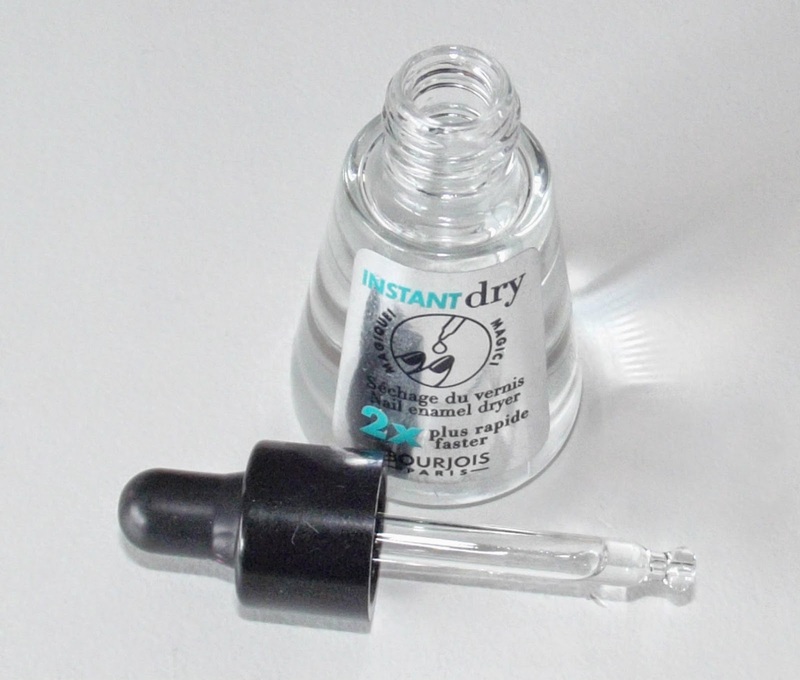 The bottle says that the drops will help to dry nail polish 2 x faster. Now I'm not sure whether this claim is true or not as I have never measured the amount of time it takes for my nail polish to dry. Although I do know that the nail drops have significantly reduced the amount of time I impatiently spend waiting for my nails to dry. I now use these drops everytime I paint my nails and it no longer seems like a chore. 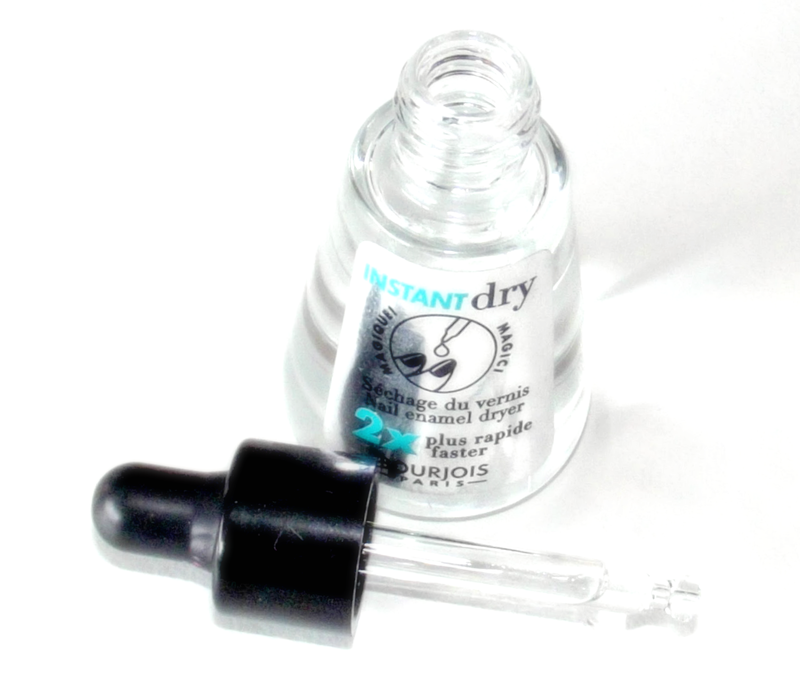 The Bourjois Instant Dry Nail Drops cost £5.99 and are widely available from places such as Superdrug.